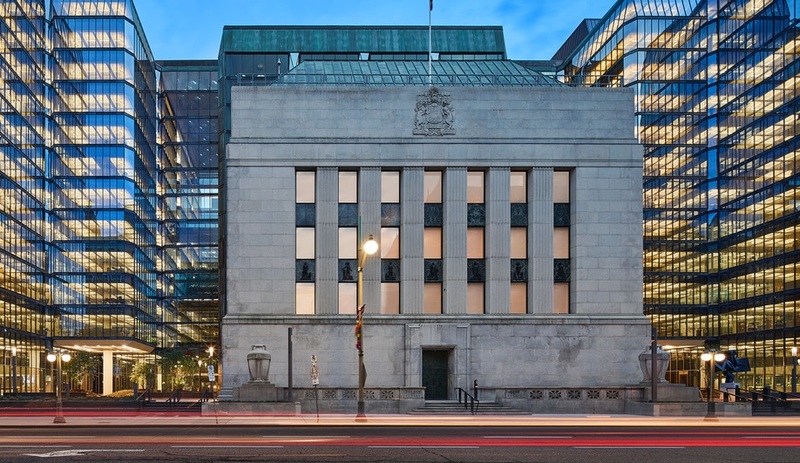 Upgrading Ottawa’s Bank of Canada, at the bustling corner of Bank and Wellington streets, is no easy task. 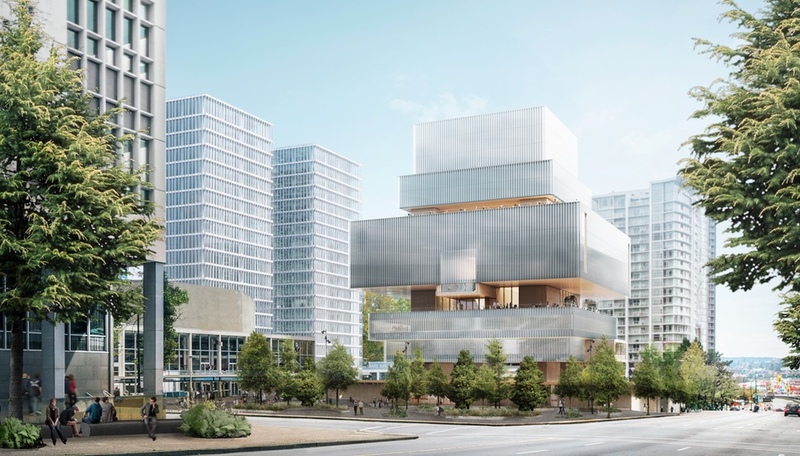 The 7.7-hectare site already features two architectural layers: Marani, Lawson and Morris’s neoclassical bank, built on-site in 1938; and a glassy expansion, installed four decades later and designed by Canadian icon Arthur Erickson. Yet even with the modernizing 1970s addition, the headquarters hadn’t been able to accommodate the 21st-century workplace, let alone make way for computers. 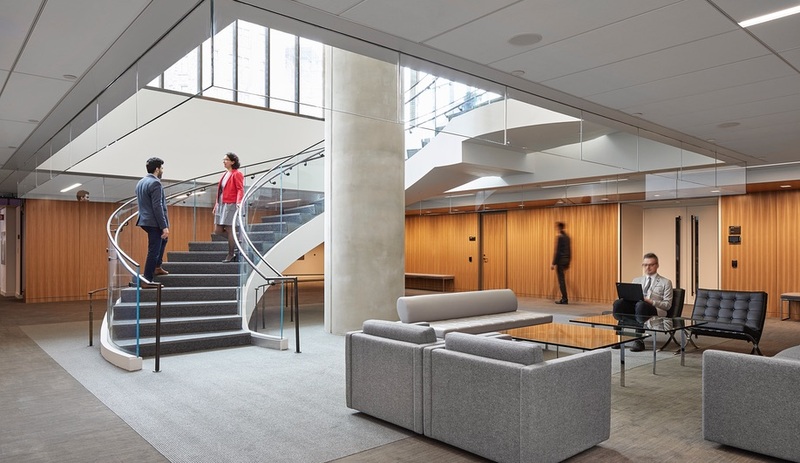 To make the necessary upgrades, the bank brought in lead architect Andrew Frontini of Perkins + Will to oversee a top-to-bottom renewal that included adding seismic protection – something that wasn’t considered in the 1970s. The original glass box was also showing its age, due to 60-degree temperature swings that resulted in rising costs in energy and maintenance. Its public atrium also posed potential security risks. 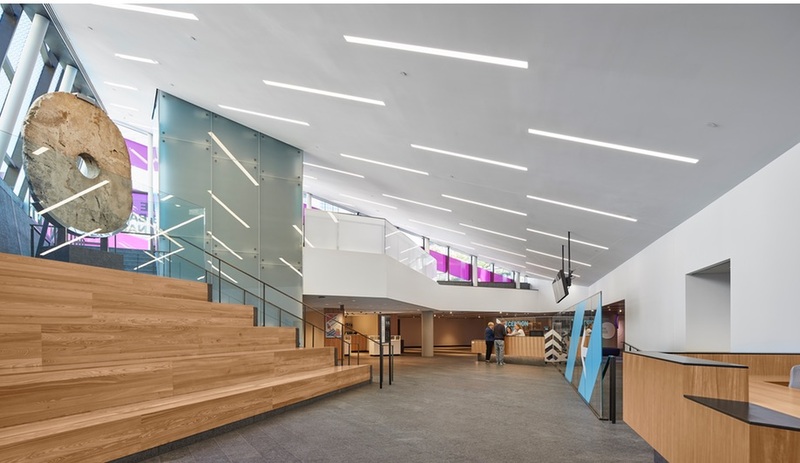 “The challenge was to create a cohesive design strategy that unified the project’s many facets – all within the context of a building originally designed by one of Canada’s most celebrated architects,” says Frontini. 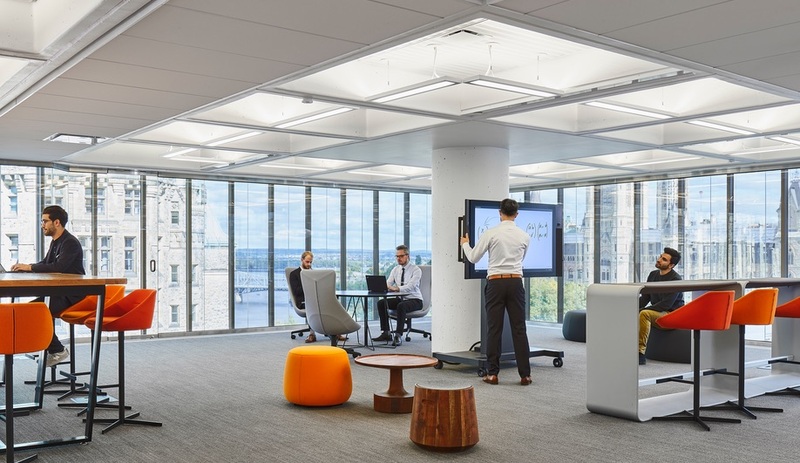 “And, because it’s the Bank of Canada, it had to be on-time and on-budget.” With five years to plan and execute, the team performed a heritage analysis, determined which architectural elements were essential and got working. 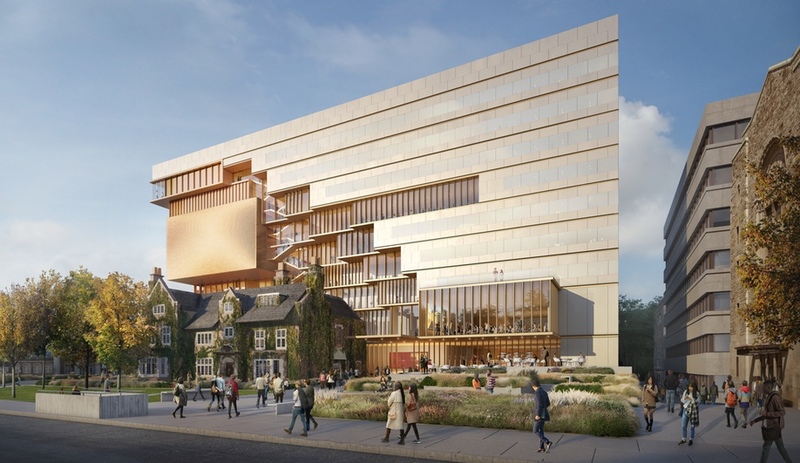 Here are the five dramatic upgrades Perkins+Will made to the Bank of Canada that are, in some instances, invisible to the eye. 1. 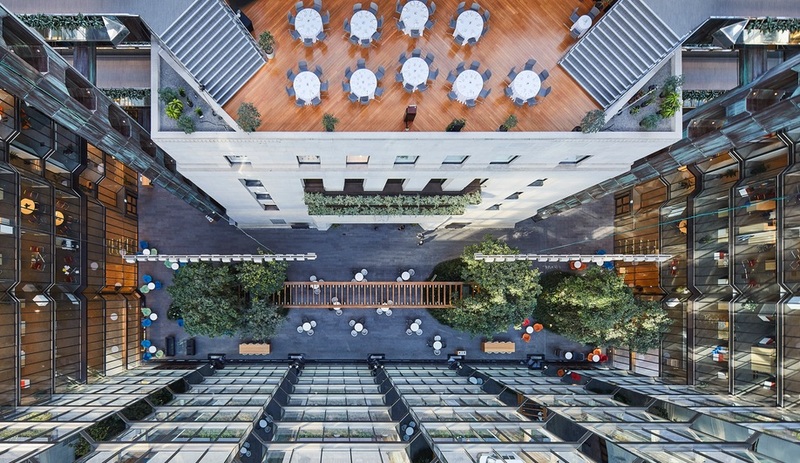 It sealed off Erickson’s original atrium, but reimagined it as a community hub. 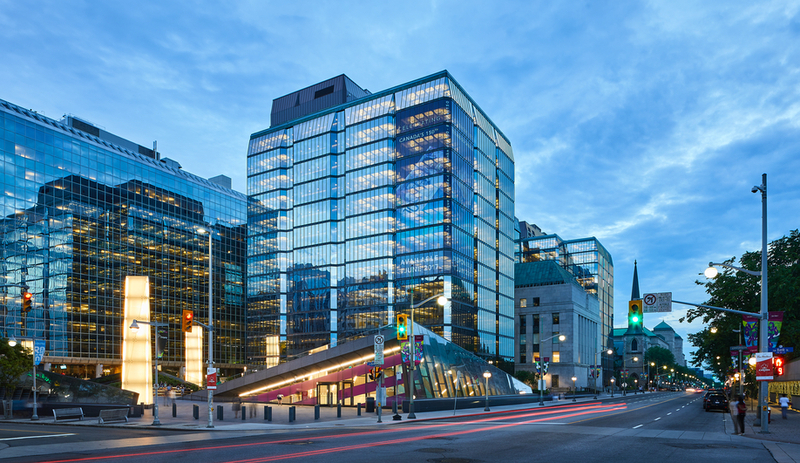 The original atrium, says Frontini, was intended to be an “abstraction of the Canadian landscape.” Surrounded by 12 storeys of glass, Erickson envisioned it as two mounds (meant to signify the nation’s mountain ranges) connected by a trellis with prominent water features and native flora. In reality, the well-lit room was underused: its topography, which was 60 per cent water and vegetation, prevented people from gathering an, in the end, it was primarily used as a thoroughfare. 2. 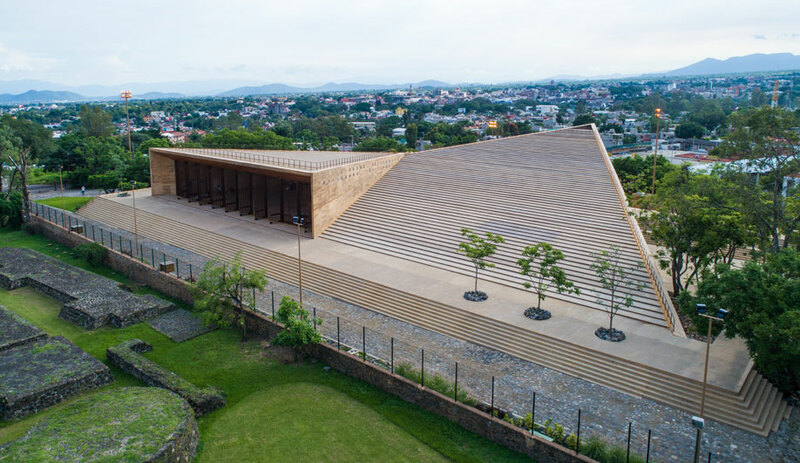 It created a plaza that connects to a subterranean museum. Perkins+Will could afford to be more playful with the building’s plaza, which was formerly windswept and bereft of pedestrian amenities. 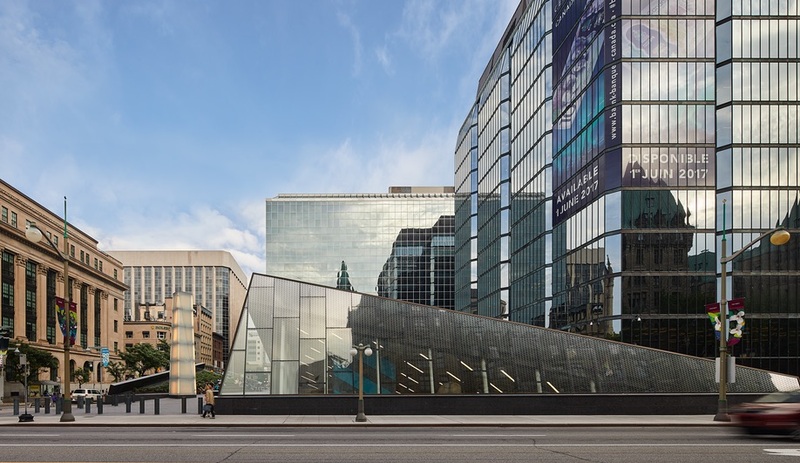 The firm developed a concept where the corners of the site curl upward into three tiered landforms while the Bank of Canada’s currency museum is located beneath the plaza. 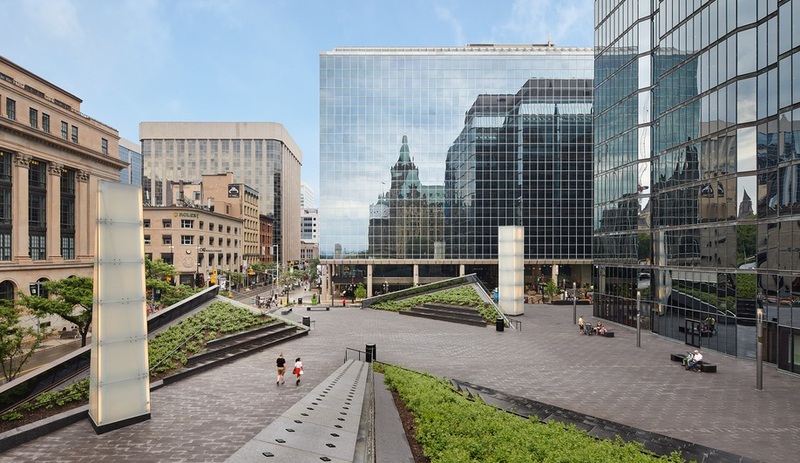 The landforms incorporate bleacher-style seating and add a new type of inviting public space to the foot of Parliament Hill. The entrance into the museum is via a pyramid-like glass pavilion developed to reflect Erickson’s bronze, glass and granite material palette. Three illuminated columns were added to serving as beacons to further draw people in. 3. It turned Erickson’s mirrored skin into a buffer zone that helps regulate the building’s temperature. The Bank’s mirrored facade may be its most identifiable feature, and Frontini wanted to keep that structural expression intact. So, to combat the building’s low-performing envelope, a silicon-jointed glass wall was nested behind the original mirrored skin. This created a foot-wide “dynamic buffer zone,” which helps trap and disperse heat. And it’s largely invisible. 4. 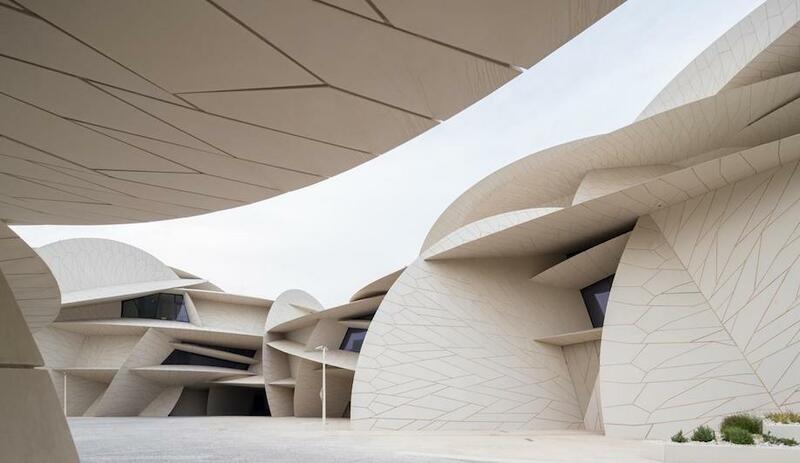 It performed a structural intervention to protect the building from earthquakes. Steel cross bracing is typically used for seismic stabilization, but for Frontini, that idea wouldn’t work – he didn’t want to add to the Bank’s structure. 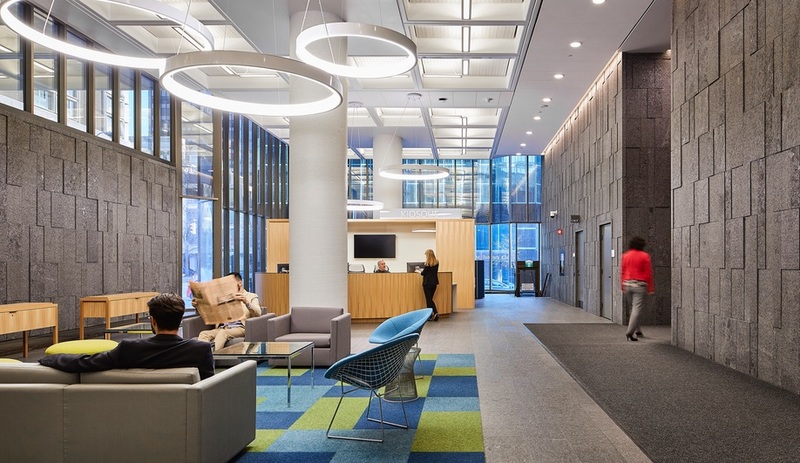 Instead, PCL Construction performed a structural intervention by demolishing the building’s elevator cores and rebuilding them with seismic stiffening added. 5. It modernized, but preserved, Erickson’s signature interior details. 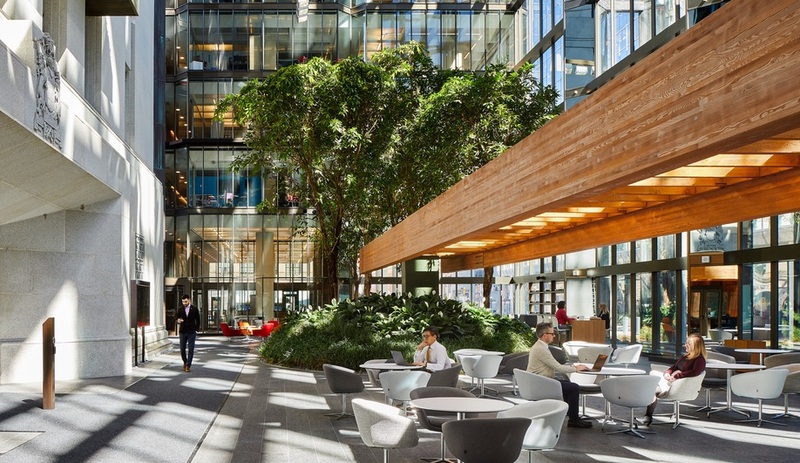 In the office towers, each floor has one of Erickson’s signature design motifs: a tree column, which rises from the floor and spreads out into a waffle slab. While undeniably handsome, these columns, which integrated lighting and limited amounts of ventilation and heating functions, were inflexible. They made it impossible to drop the ceiling to add more services.